And when I say I, I probably should say we, or even more specifically Mum. Thanks Mum! 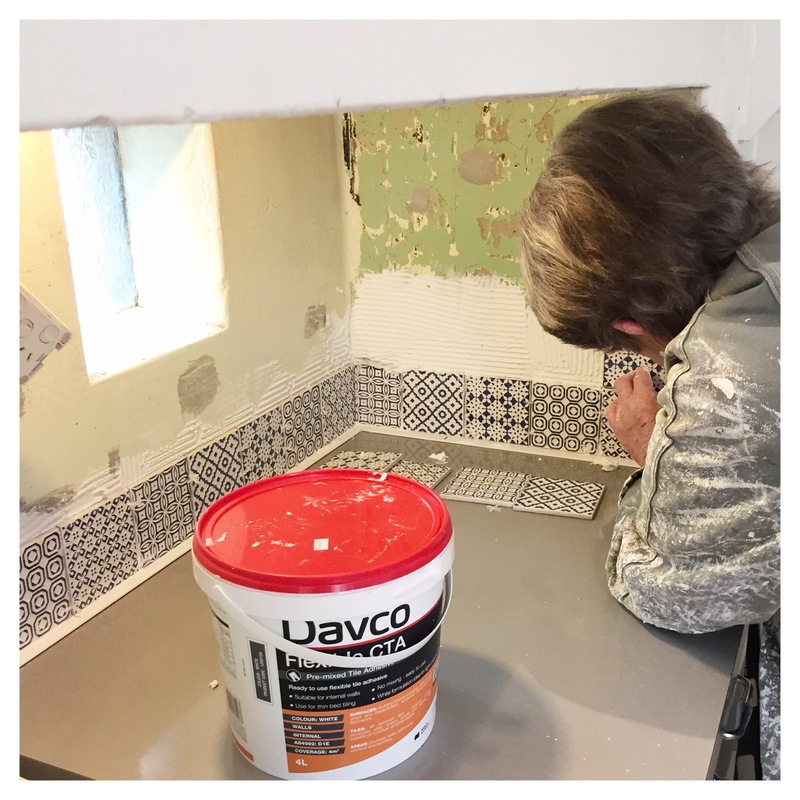 I did the drudge – cleaning off the glue and the grouting. And making cups of tea. 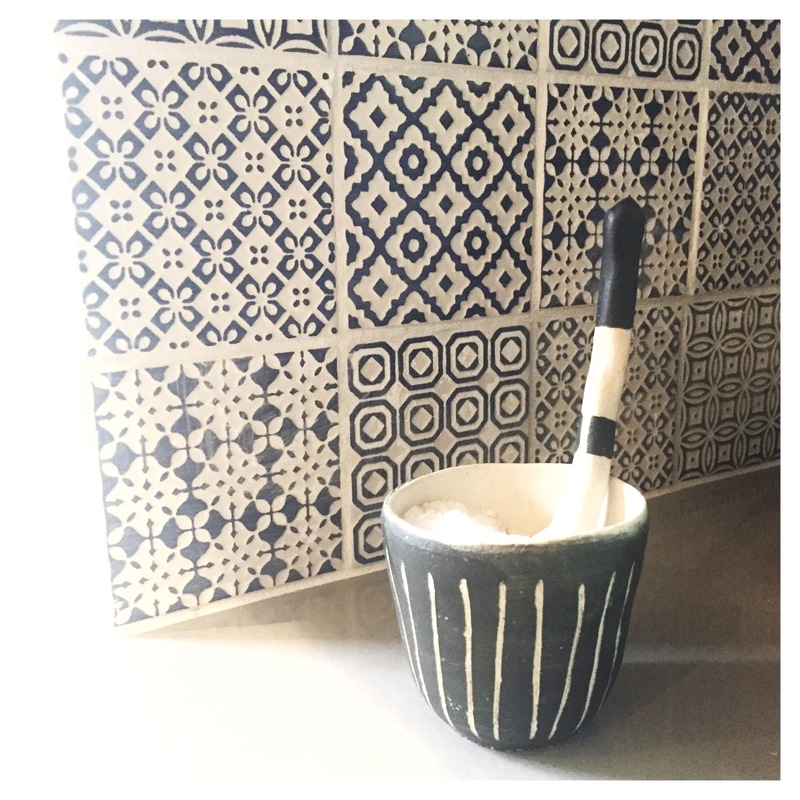 She did the glory – sticking the tiles on. And Dad did the cutting. Go team Coughlin! It took all my spare time for 3 days. Which I suspect is probably why it took me 2 years to start. But now I have! 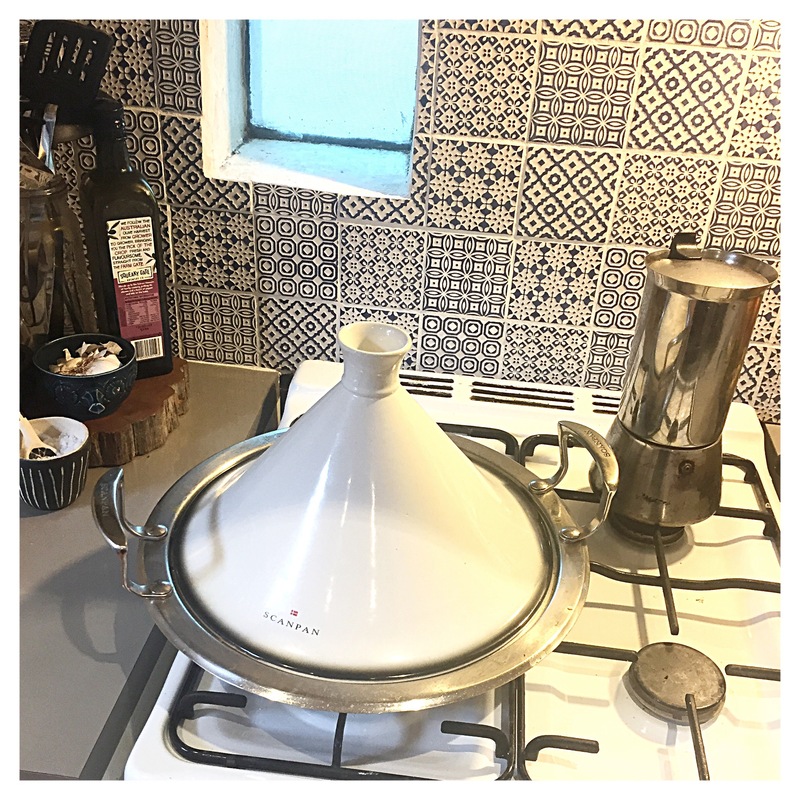 To celebrate my Moroccan looking tiles (that were made in Italy but called batik blue – which just makes me think of Bali) I got down my Scanpan tagine – that Mezzy gave me for Christmas (found at the op shop). And I cooked some middle eastern lemon chicken deliciousness … in my middle easterny kitchen. Yay. Yay. Yay. Beautiful! Well worth the wait.